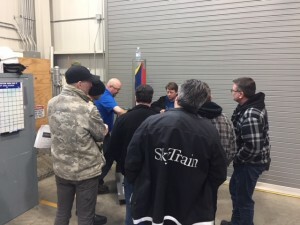 Minden, NV- On February 21, 2018 Maxton completed two days of hydraulic elevator control valve training for 20 elevator mechanics at British Columbia Rapid Transit Company, Ltd (BCRTC) in Vancouver, BC Canada. 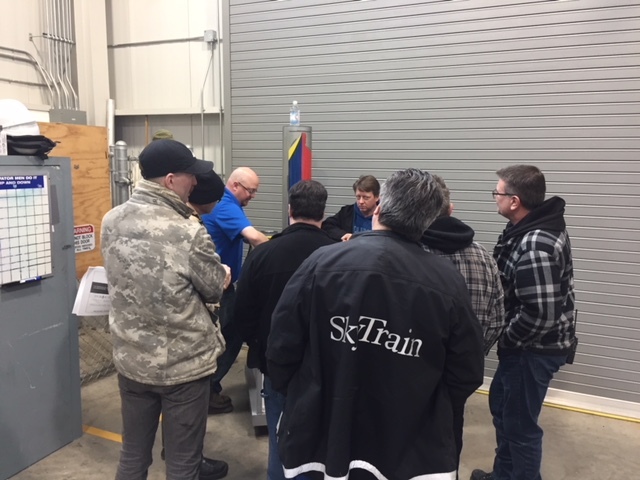 Two sessions, 10 mechanics each, provided classroom instruction on product knowledge, identifying and resolving common hydraulic field issues followed by practical application through valve adjustment and troubleshooting using the Maxton TA4M training unit. These continuing education classes deliver (4.0 credit hours) through the NAEC’s approved Certified Elevator Technician (CET) program. 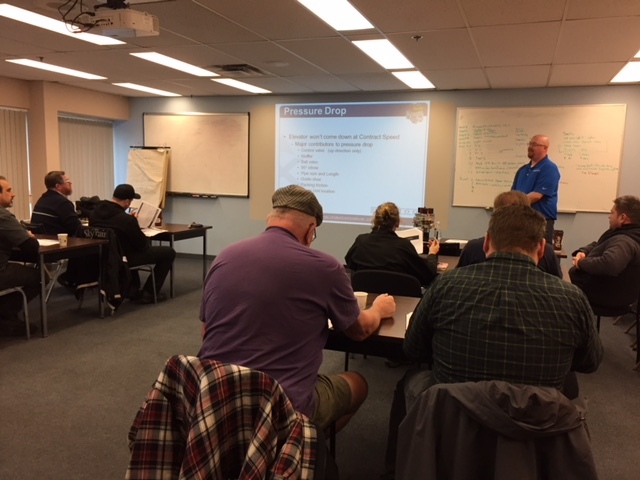 “It was great to hear how positively this training was received by the attendees. It was also a pleasure to be asked for input on a few problem jobs,” said Landon Smallwood, Technical Support / Trainer. Now in our 50th year (1968-2018) Maxton Manufacturing Company grew into a worldwide leader that holds the distinction as the largest single producer of hydraulic elevator control valves in North America (Made in USA). We serve all your hydraulic elevator OEM, new construction, modernization, replacement/repair, tech support and educational needs when it comes to the products we provide. It’s time…explore our website http://maxtonvalve.com for access to the resources you need daily…Maxton Mobile Mechanic APP, 4.0 credits NAEC approved CET class, product specification information, free field training software, our newsletter, and how to contact us.